Good location at the beach. Security guy, Aggelos, was very nice and helpful! We had an amazing balcony with an incredible view! The nightlife is great and easy to walk to. Would stay again! The view was amazing. Along with its walking distance to all paradise beach clubs. Location could be hit or miss depending on whether you like secluded difficult to access beach resort. Some of the views were nice. Staff inside the entertainment area and bar were generally speaking nice. the rooms were pretty nice but a little bit noisy. Sensational place. Don’t believe the other reviews, staff was really helpful and friendly. Our room was gorgeous. Breakfast had a lovely selection. Would recommend to everyone who wants to have an amazing time. They provide free pick up and drop off transfers from the airport/ferry port. The beach was nice and plenty of party atmosphere if that’s what you like. Room was comfortable. Paradise Beach Rooms & Apartments is a complex of sea-view rooms and apartments, located just a few steps from Paradise Beach. The residence club is famous for its lively parties. 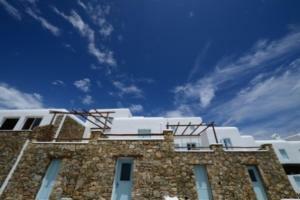 Paradise Beach Rooms & Apartments are set in whitewashed Cycladic-style buildings. Each has a simple décor and includes air conditioning, bathroom and fridge. The hotel self-service restaurant serves Greek and international dishes. Vegetarian options are also available. A breakfast area and a snack bar are also featured on site. There is a mini market on site. Hotel staff may assist you with car hire, luggage storage and currency exchange. Services are available 24/7. 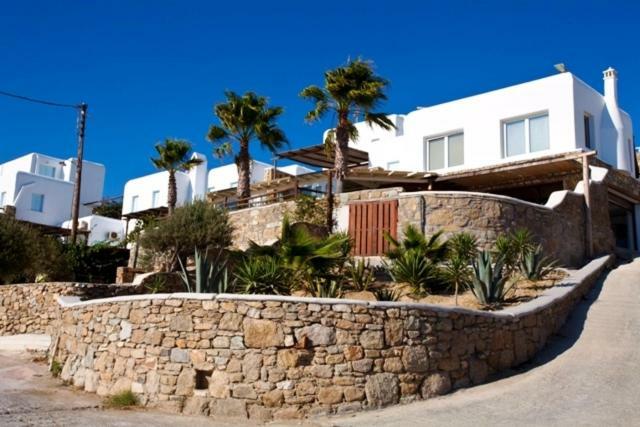 Paradise Beach Rooms is 3.1 miles from Mykonos Town and 1.9 miles from the airport. 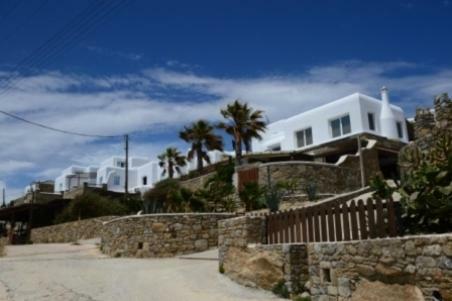 Guests can rent water taxis to visit Platis Yialos and more beaches. Buses stop right in front of the property. Free private parking is available. Paradise Beach Rooms & Apartments has been welcoming Booking.com guests since 30 Jan 2012. When would you like to stay at Paradise Beach Rooms & Apartments? Spacious sea-view rooms with traditional architecture and light decoration. They are equipped with air conditioning, a safe and fridge. 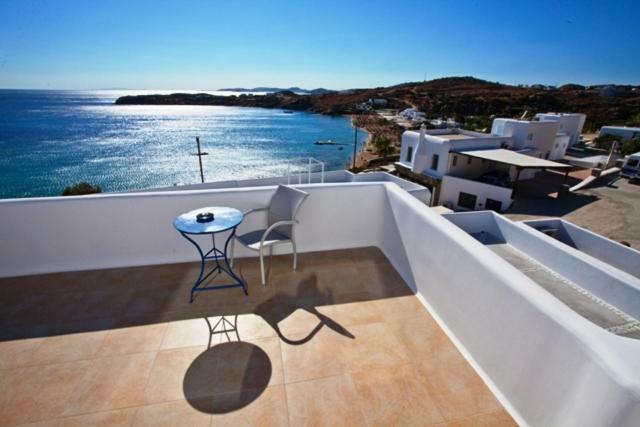 Enjoying a hillside location, the apartments have a balcony with panoramic view over the sea and beach. 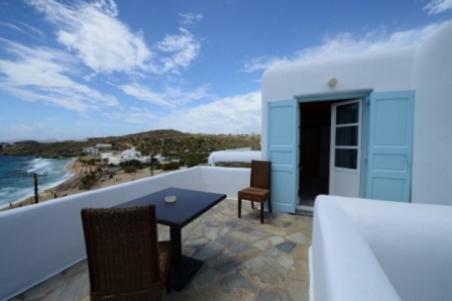 This triple room has a private entrance, tile/marble floor and air conditioning. House rules Paradise Beach Rooms & Apartments takes special requests - add in the next step! Paradise Beach Rooms &amp; Apartments accepts these cards and reserves the right to temporarily hold an amount prior to arrival. Paradise Beach Rooms & Apartments accepts these cards and reserves the right to temporarily hold an amount prior to arrival. Kindly note that free shuttle service to the port or the airport can be provided from 9:00 am to 11:00 pm, upon request. Guests who wish to use the service must notify the property at least 1 day prior to arrival. From 11:00 pm to 9:00 am shuttle service can be provided upon charge. One-way transfer costs 7 euros from/to the port/airport. The view was amazing! It was a hike to get up to the room however we enjoyed the exercise. A lot of people rented quads to go up the hill. The room was clean and spacious. Great stay! Reception guy was very rude with us when we arrived and asked if we could do an early check-in. He started to yell at us... not the kind of customer service you would expect at a hotel while on vacations. Great location! Very helpful staff! The owner and their staff. We arrived at the port, the driver was holding a sign. After checking that we were booked to his hotel, he told to go to the bus and wait 5 minutes. At the bus were only a few people. 5 minutes turned a hour, without air conditioning, the bus was off. People kept arriving and everyone was getting angry. Some even went to ask him, and he kept on lying saying to wait just 5 more minutes. At the hotel, a guy which everyday is seated in the side of the reception was very stupid, very rude. He has white hair, you shouldn’t go with him. Go with a lady which was very polite, and tried to cover his mess. The owner seems to be a angry dictator, the employees are afraid to talk to him. The maids are very kind. It was only worth because of the location. We didn’t even have to rent a car, the best beaches are like 10/20 minutes walking. Just take water. Staff - receptionist rude and unfriendly. Unprofessional . Too much attitude. Impulse control deficit. Long haired, tattooed. Not allowed to stay inside the reception hall for check in but had to queue outside. Taxi/ shuttle service at resort highly unreliable. First of all asked twice prior to arrival whether there was free shuttle service from airport ( apparently there is acc to website), however did not receive a reply so booked our own airport taxi for 40 euros. One night went to visit local friends on nearby town and were promised to be picked up on time. The taxi never appeared and fortunately our friends had a spare local bed. Finally day of check out, we asked for a shuttle service to the port, the day before and were told 10 30 am . On the day , the head honcho decided, that 10 30 is not appropriate and postponed to 11 30. We organized our own transportation as a result. There was no wifi at the rooms but i wish this was the problem. After travelling around world the last year these were by far the most rude people i have met. I just arrived and asked a second key for the room, as my friend already had one but was not there, and they implied that he knows why i asked it like i was going to make something bad. when i told him that he is rude and i just wanted to leave my things and take a shower he told me to try and find my friend to take the key. When he finally let me to get in the lobby another guy in the reception told me the same things and was even more rude. both of them ruined our experience for the group and as the rest of the staff told us they are always aggressive like this. I dont understand why they are still working there (except if they are the owners) and they should just quir because working in a place like this probably will get their nerves worse and worse. 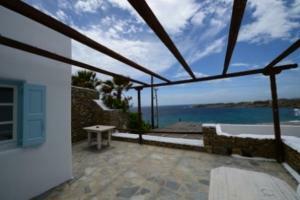 Perfect location, close to the best beach bars...!! !